"Did The Job Perfectly And Kept Me In Contact Throughout The Day What Time They'D Be Arriving Etc." "Comumication, And Work Was Good"
"Answered The Dilemma Straight Away And Turned Up When He Said He Was." 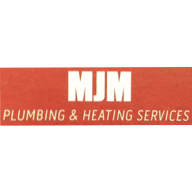 Need a Plumber, Tiler, Appliance Engineer, Handyperson or Drainage Engineer in Pontypridd?